A new trailer for Trek's return to the small screen. 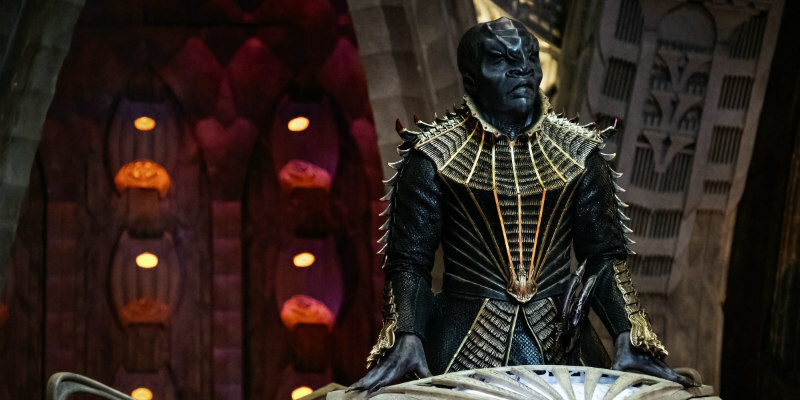 Netflix used San Diego Comic Con to drop a new official trailer for Star Trek: Discovery, the show's return to the small screen. Unlike previous Trek shows, this one adopts a serialised format, reflective of modern TV. Whether the notoriously fanatical Trekkers will be pleased with this change remains to be seen, but expect a lot of noses out of joint. Some will no doubt be irked by the show's inclusion of a gay couple, fitting for the latest incarnation of a franchise that has always prided itself in being progressive. Episodes will drop weekly from September 25th.